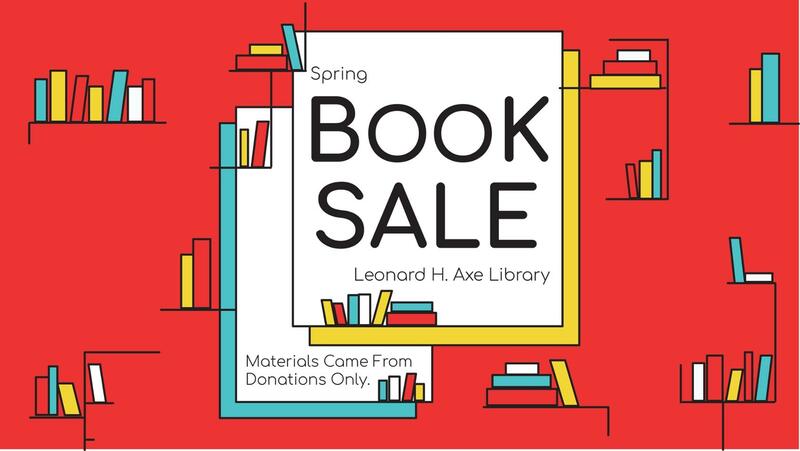 Join us for the 5th annual Spring Book Sale at Leonard H. Axe Library. The book sale will be held right outside the library on Thursday April 19th 2019 from 10 am to 2 pm. Come find a new read or classic among our selection. Everything from Fiction, to Romance, to Mystery, to Sci-fi, and much more. From $0.50 to $2 each item. All items are donated materials and sale proceeds benefit library programming.